The Lady Bulldog basketball team drew up a winning game plan of defensive-spurred offense Tuesday on the road, and the result was a 68-61 victory over the Class 5A Lady Wildcats of Clovis. “I felt like we had a pretty good game plan going in defensively, and we put together four really good quarters,” head coach Jeff Houghtaling said this morning. “I think our defense kind of helped us generate some offense. We were able to turn them over a little bit, and that led to some fast-break baskets, which helped us. The Lady ‘Dogs went toe to toe with the Wildcats in the opening quarter, emerging just a basket down, 15-13. Artesia was able to use those fast-break opportunities Houghtaling mentioned to their advantage in the second, however, dropping 23 points on Clovis to take a 36-28 lead into the half. The girls in orange were plagued by turnovers of their own in the second half but delivered enough offense to stay in front of the ‘Cats in the third, 55-45, and that margin helped preserve their win in a fourth quarter that saw Clovis outscore Artesia 16-13. 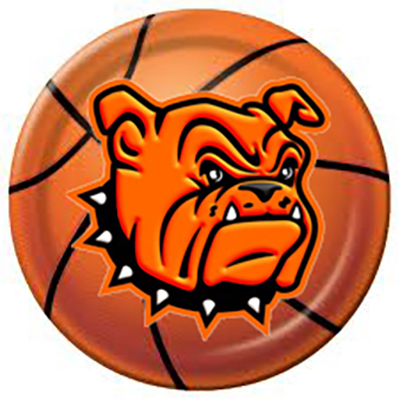 Houghtaling said the similarities between Clovis and two of Artesia’s District 4-AAAA opponents should help the Lady Bulldogs going forward. “They’re pretty similar to Lovington in their quickness and their pressing, and they’re pretty similar to Portales in their offensive execution,” said the coach. “It’s a good snapshot of what I think we’re going to get to see in two weeks, so to be able to go in and handle that ball pressure and full-court press, sustain some defensive possessions and get some stops, was good to see. Just one more contest separates the Lady ‘Dogs (12-7) from the second season: a 7 p.m. bout Friday at Bulldog Pit against Class 5A Roswell High. “That game will be a little different,” Houghtaling said. “Roswell High is a lot bigger, they have a lot more height, and we know they play zone, where Clovis was just full-court press, man-to-man, pressure, pressure, pressure. So I think there’ll be a little different complexion to this next game.